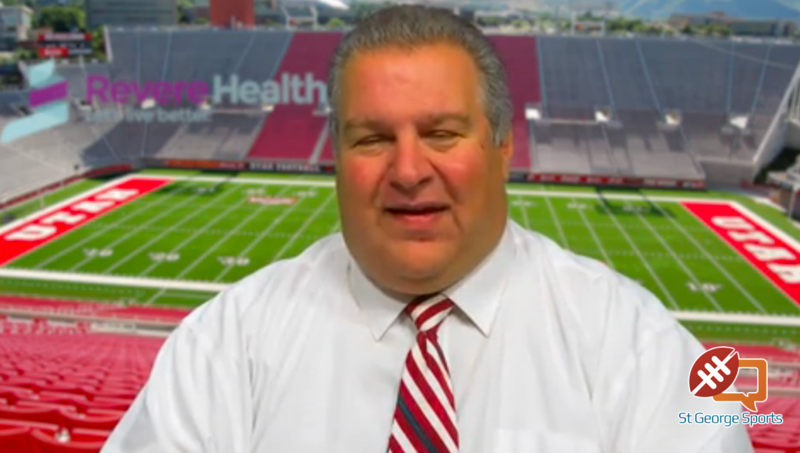 ST. GEORGE – What do we want from our football experience? Sure, we want our team to win it all, but realistically, how often does that happen. Only one 4A team will emerge from this 2017 season completely satisfied – with a championship trophy, the admiration of others and a big, fat ring. But beyond that, what do we really want. Competitiveness? Hard work? Fair play? A chance to grab the proverbial brass ring? And for five of the seven teams in Region 9, it was there. Dixie, for starters, got its second straight perfect region season. But it wasn’t easy. Dixie got humbled a bit by an out-of-state school. Snow Canyon gave the Flyers all they could handle in the region-opener. Pine View and Desert Hills were competitive. And even Cedar managed to put a little worry into Flyer fans late in the game Thursday night. Pine View, which ended up grabbing the region’s second seed with a blowout win against Canyon View Thursday night, also found itself competing at a high level this year, winning seven of 10 games. Even the three losses were within 10 points of going the other way. Panther fans certainly aren’t satisfied with second place, but they must be pleased to know PV was right there in every game, with a look toward the state playoffs and a strong finish. Certainly, we can feel for Snow Canyon fans. The Warriors won six of their nine games, but find themselves locked out of the 2017 playoffs. But competitiveness was the name of the game for SC this season. A three-point loss to region champ Dixie, a triple-overtime loss to Cedar and Thursday’s heartbreaking seven-point defeat at the hands of the Desert Hills Thunder are the difference for the Warriors. Hopefully Snow Canyon fans are happy their team worked hard, played fair and had a legitimate chance at grabbing that brass ring. The Big Picture is this: Four teams will head to the 4A state tournament having been tested and tried by some excellent opponents. 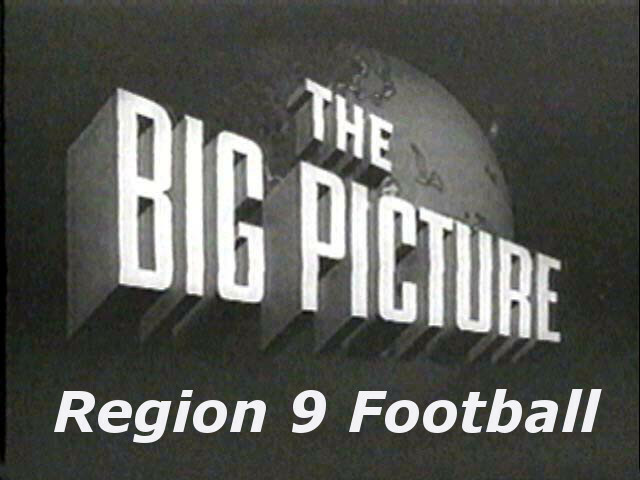 Region 9 kept us on the edge of our seats all season long. This is no playoff preview – that’s coming later this week. Let’s call this a playoff glance. Dixie knew its first-round opponent before Thursday’s win over Cedar – Park City (4-6). What do the Flyers expect? The Miners have barely beaten some pretty bad teams: won by one over Ben Lomond; by 14 over Payson; by eight over Logan. But Park City also stayed close with decent teams, losing by a single score to Stansbury and by nine to Tooele. Still, PC only scored over 30 once this season, and they’ll need a lot more than that to beat Dixie. Flyer potential second-round opponent: Mountain Crest. Cedar will takes its playoff trip to Stansbury. The 6-3 Stallions gave undefeated Sky View one of their closest games of the year (a 27-17 Bobcats win). But Stansbury also played mediocre in wins over Tooele (35-28) and Park City (22-14). The Stallions are not balanced. With a 2-1 run-pass ratio, they’d just as soon run you over. Cedar specializes in run defense. This could be the upset special of the first round. Redmen potential second-round opponent: Spanish Fork. Region 9 drew well in getting the first round matchups vs. Region 11 and I wouldn’t be shocked to see the South go 4-0 (or 3-1 at least) in the playoff openers. But the road gets decidedly tougher after that. Teams like Sky View (9-0), Mountain Crest (9-1), and Orem (8-2) await our teams in the second round.